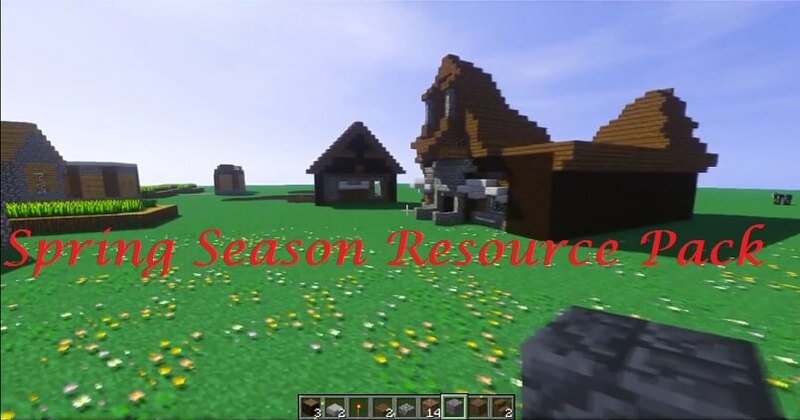 Spring Season Resource Pack 1.12.2/1.11.2 brings the colors of Spring to Minecraft containing red, orange and yellow. Many new foliage and grass are added to your game with Spring theme. The Pack not only does foliage color maps but also did a great job in mixing the textures of the starting season. Birch trees are now cherry blossoms and blocks will be changed to have fallen blossoms.